� Add the steel-cut oats, bring back to the boil then reduce heat to low and simmer uncovered for 25minutes, stirring occasionally. � Add the milk after 25minutes of cooking and simmer for a further 10minutes or until the liquid has been absorbed.... � Add the steel-cut oats, bring back to the boil then reduce heat to low and simmer uncovered for 25minutes, stirring occasionally. � Add the milk after 25minutes of cooking and simmer for a further 10minutes or until the liquid has been absorbed. Pressure Cook Steel Cut Oats: Pour 313ml (1 1/4 cup) cold water, a pinch of salt, 1 tsp (5ml) vanilla extract, and 1 can (400ml) coconut milk in the pressure cooker. how to clean a piano black finish Combine all ingredients in slow cooker and cook on low setting for 7 hours (and turn on the "keep warm" function if you've got it). In the morning, give the porridge a really good stir, then serve with more brown sugar as desired and/or milk. Yes, you can entirely replace water with milk. The main thing to be aware of is how prone it is to boiling over. Milk will eagerly do that on its own, and starchy water will too, so the combination has to be cooked on very low heat to avoid making a huge mess. 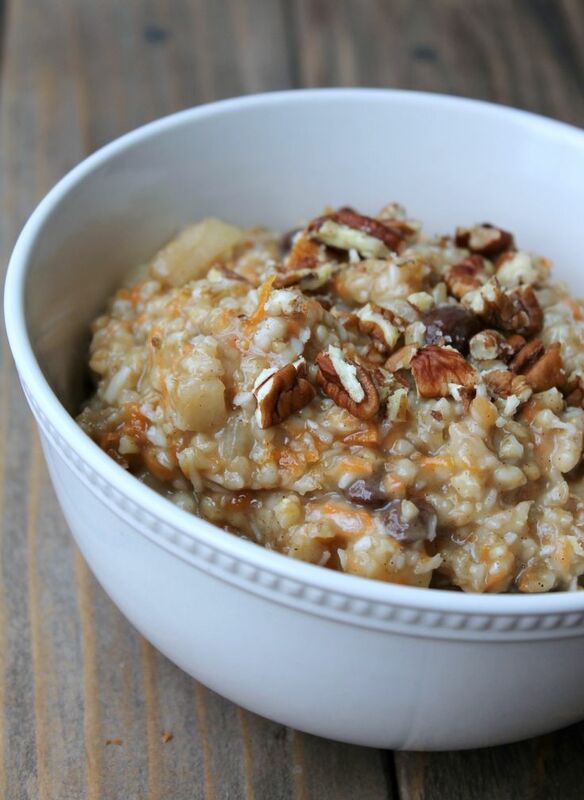 "Steel cut oats / Irish oatmeal recipe 3 cups water 1 cup milk of choice: almond milk, cow�s milk, coconut milk, etc. 1 tablespoon coconut oil or unsalted butter 1 cup steel-cut oats (choose certified gluten-free oats if necessary) ? 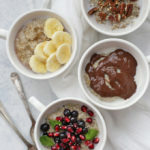 teaspoon salt"
� Add the steel-cut oats, bring back to the boil then reduce heat to low and simmer uncovered for 25minutes, stirring occasionally. � Add the milk after 25minutes of cooking and simmer for a further 10minutes or until the liquid has been absorbed.